The Emmys are just around the corner and that means those who are nominated are doing their best to lobby for votes and bring home a statue. These things are very political. As such, the folks at Screen Junkies, the team behind Honest Trailers which is an Emmy nominated show this year, are trying to get some attention from Emmy voters so that they can take home the prize for Outstanding Short Form Variety Series. And they have enlisted Michael Bolton to sing an epic 90s style Game of Thrones theme song in order to do so. Screen Junkies decided to use their episode of Honest Trailers this week to be a little self-serving and, albeit jokingly, try to get some last minute Emmy attention. They decided to bring in Michael Bolton and a whole host of accomplished singer/songwriters in order to rework Emmy nominated shows' theme songs in the style of 90s and early 2000s shows. 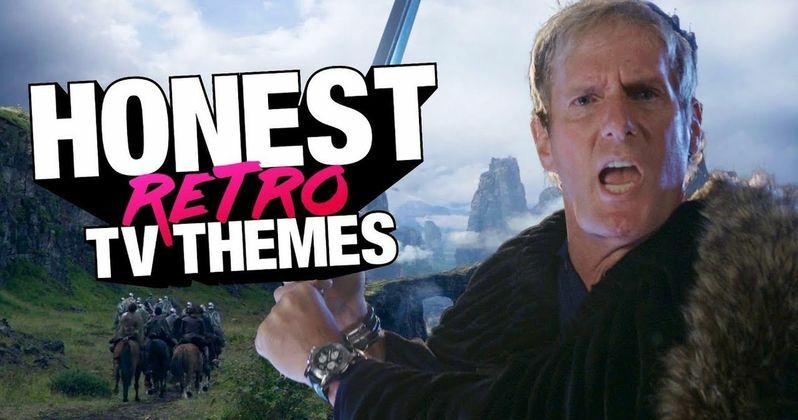 The results are pretty fantastic and, without question, Bolton's take on the Game of Thrones theme is the best of the bunch. Even though HBO's massive hit fantasy series Game of Thrones isn't eligible for the Emmys this year, Michael Bolton couldn't resist doing a retro version of the theme song. As he says in the video, "House Bolton does what it wants." He then transitions into a truly hilarious Game of Thrones theme song that plays on the idea that there are simply far too many characters in the series to keep track of. They definitely made time to poke fun at that recent Ed Sheeran cameo. This may be even better than the Jack Sparrow song he did with The Lonely Island on SNL a few years ago. The Honest Trailers Emmy video also brings Natasha Bedingfield to give the Stranger Things theme song a Full House makeover. Brian Cole also parodies the Cheers theme for NBC's hit drama This Is Us. In the song, Cole sings, "We're not cutting onions in here, you'll be cryin' buckets of tears." Paula Cole was brought in to give Hulu's The Handmaid's Tale a new version of her hit song I Don't Want to Wait, which was famously used in Dawson's Creek. Screen Junkies managed to pull in a whole lot of talent for this one. Screen Junkies did ask, "If you're an Emmy voter do us a solid and vote for Honest Trailers for Outstanding Short Form Variety Series," in their post for the video. Though, they probably just made the video for fun. If you can get Michael Bolton to sing a Game of Thrones theme song, why not? We'll take all of the Game of Thrones stuff we can get right now while we wait for the season 7 finale this weekend. Be sure to check out the Honest Trailers Emmy theme song video for yourself below.